HondaRulez COP mini kit for OBD1 Civic/Integra ECU's. The HondaRulez Coil-on-plug kit is the solution for getting rid of the old distributor setup and installing an individual coil on plug or coil near plug setup. 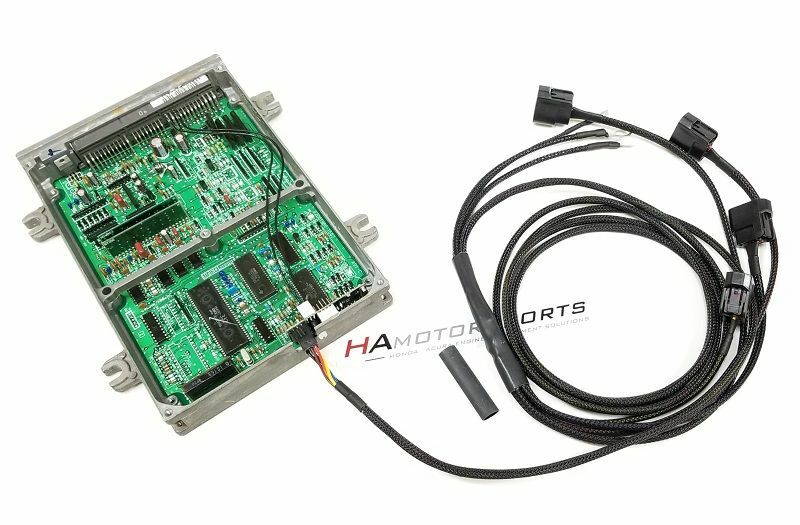 The ground-breaking feature of the HondaRulez kit over other COP kits is that this can be used in ANY OBD1 Civic/Integra ECU, even the stock ECU, plus it fits inside of the ECU (no external box needed)! What are the benefits of coil-on-plug over the stock distributor setup? Increased spark energy - results in stronger spark at high rpm, high load, and high boost levels to deliver more power and more complete combustion. Idle quality is improved, and the engine typically starts quicker. Additionally, you no longer need an ignitor/ignition module, which is a weak link in the factory ignition system! The hardware installs inside the OBD1 ECU, and the harness then allows you to easily install individual coils. Installing the HondaRulez mini unit into the ECU requires desoldering and soldering to the ECU board, plus cutting an opening into the ECU casing to clear the wire harness and drilling a hole for the mounting screw. If you are comfortable with doing this yourself, you can select the option to have us ship everything to you from the drop down menu above - select "I WILL INSTALL MYSELF". 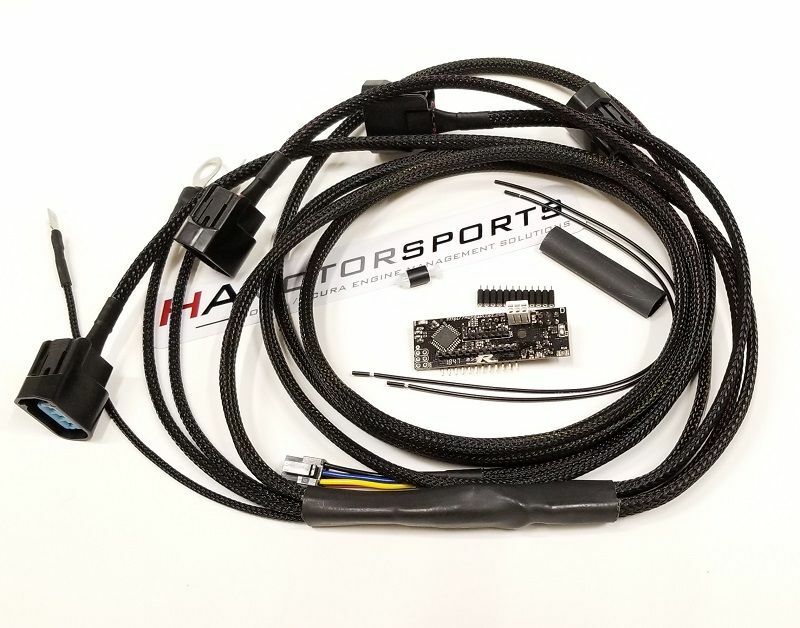 If you'd like us to install the kit into your ECU for you so that all you have to do is connect the wiring, select to ship your ECU to us from the drop-down menu. We will hold the kit here for you until your ECU arrives to do the install, then ship back to you as soon as it is completed - select "PLEASE INSTALL INTO MY ECU FOR ME". With this option, you will need to ship your ECU to us. You will pay to ship your ECU to us wherever you go to ship it. You will pay for the return shipping (shipping back to you when install is completed) when you place your order. Coil on plug harness (plugs into HondaRules mini unit at ECU and each coil on the other end). Ignition coils are NOT included. What ignition coils should be used? Ignition coils to be used will depend on how you choose to mount the coils. Typically B series engines will use K20/RSX ignition coils, while D series engines will use D17 ignition coils. Ignition coils are NOT included in the kit.